Feature Friday: What Defines You? Friday Feature: What defines us? It is a new year in many ways. The players test out the frozen turf under the cleats as they shake off the holiday slumber. VSA got back onto the field this week and started working towards its 2016 goals. Players hope to win a State Cup, to make the big save, to become faster, score more goals, or take their game to the next level. 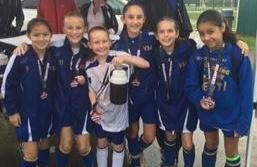 For one of our U11 players, playing soccer is not the biggest challenge she faces this year. Her toughest challenge is one that's been around for the past four years. McKenna Kolasch found out at the age of 6 that she has Type 1 Diabetes. Type 1 Diabetes is a disease where the pancreas stops working and the person becomes insulin dependent. Something like this may slow some down, but McKenna looks at it as an opportunity to overcome and inspire. child wants as their norm. However, that is how she describes her days. "I get tests in the morning at the nurse's office," she explains. "And I have to count my carbs at my meals. That way we know how much insulin I need." A consistent needle prick is her reminder that she can't have a pizza splurge. The routine is necessary even during soccer as she constantly has to check her pump and levels. Adrenaline is released when training that can make her sugar levels go extremely high and then drop very low. McKenna even wears her pump during practice and has to work not to fall on it the wrong way. high energy and excitement. 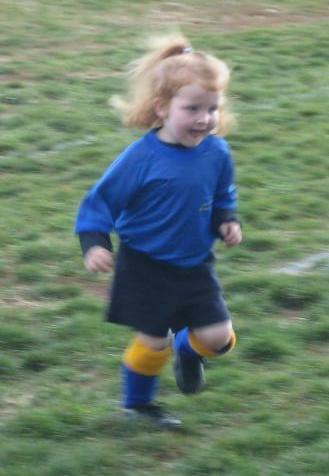 She loves the game and doesn't let anything hold her back." 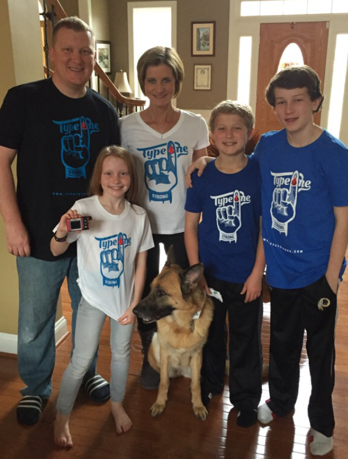 McKenna and her family have had some scary moments dealing with this disease. McKenna remembers a time where her levels were so out of whack that her parents had to rush home and give her a fast-acting shot. Also, they have made a routine of checking levels in the middle of the night to make sure she is balanced. This has not slowed down the ever-spirited McKenna, not in the least bit. When asked what she hopes other kids with diabetes would see in her, she says, "I want them to see that they're not alone. To never doubt themselves. Don't let diabetes stop you from doing anything; follow your dreams." This new year as our players look to chase after their dreams, as they look to have defining moments, McKenna will be working hard out at Long Park, and fighting to make 2016 about her. She left the interview with this thought: "Type 1 Diabetes is a serious thing, but it doesn't define me as a person. This journey with Diabetes may change your way of living, but it just makes you stronger." Our circumstances don't define us, rather what we choose to do today will.